Bunol bristles as August draws to a close. The last Wednesday of August sees fun worshipping loyalists assembling from near and far. The ham is secure at the end of a tall pole greased with soap. The artillery arrives at Plaza del Peublo. Hearts pound. Frenzy is about to be unleashed. 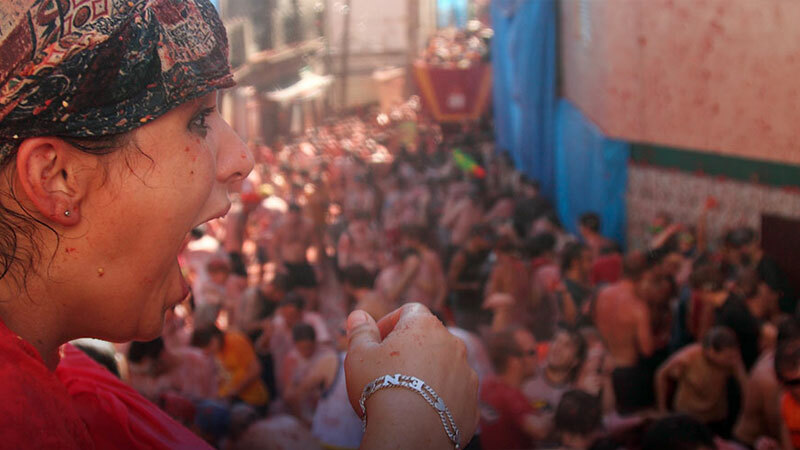 The brave heart that climbs the slippery pole and covets the ham signals the beginning of ‘La Tomatina’. 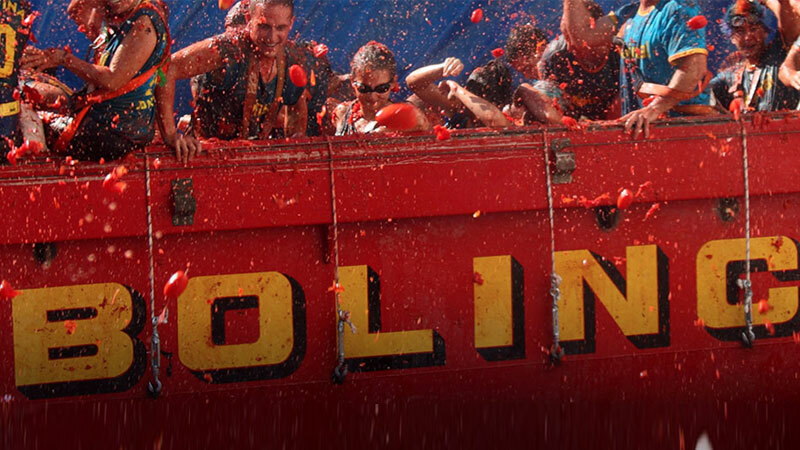 At precisely 11 am, a shot is fired, and mayhem begins, as truckloads of tomatoes arrive. The only requirement to participate in this one-of-a-kind battle is the sheer ability to squash and pelt tomatoes at each other. Not gently, not carefully, but by abandoning all restraint so as to ensure that your victim is covered in red, from top to toe. 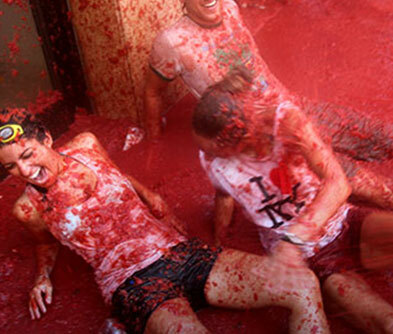 Tickets to La Tomatina are usually booked well in advance. 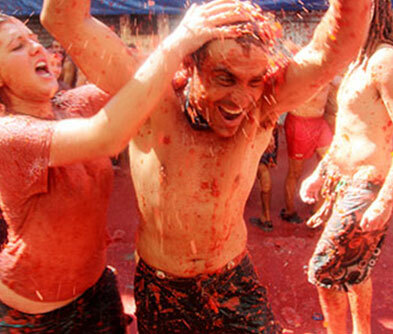 There is a limit to the number of people participating in the tomato fight, so early birds get to be part of the brawl. We recommend staying in nearby Valencia and visiting Bunol for the battle.